Here at Millwood, we offer more than just new wood pallets. We also have a large selection of alternative material pallets made of plastic. Used plastic pallets are the ideal solution for those looking to overcome the drawbacks of traditional pallets for storage and the transportation of goods. In addition, plastic pallets are environmentally friendly. They’re reusable, have longer lifespans, are weather-resistant and reduce wood consumption. Plus, used plastic pallets are made from all recyclable materials. 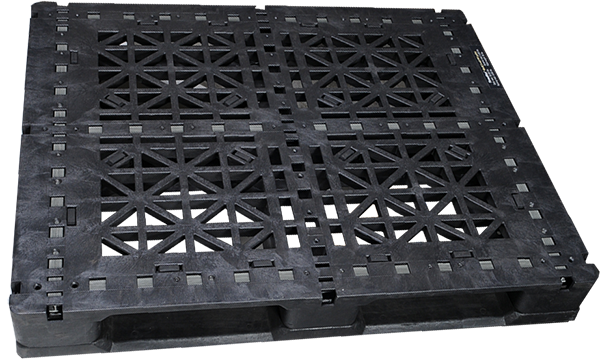 Millwood, Inc. understands the needs of customers looking for used plastic pallets. We provide more than 150,000 new and 150,000 used pallets a week, while providing products to more than 1,100 accounts, including many Fortune 500 Companies. If you're looking for plastic pallets designed to suit your needs, you've come to the right pallet manufacturer!